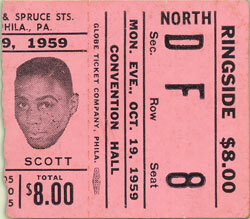 Perhaps the definitive all-Philly clash happened in 1959, when Charley Scott met Garnet “Sugar” Hart at Convention Hall in a 12-rounder for the PA State welterweight title. 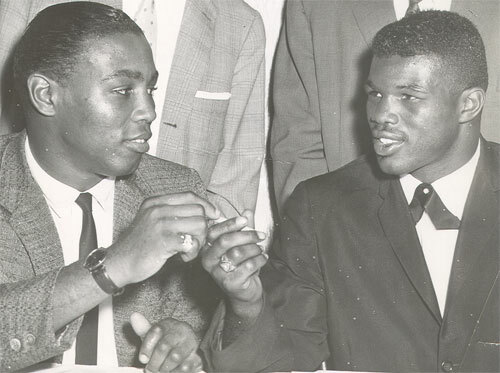 Not only did these two both come from the same Strawberry Mansion neighborhood in North Philly, they trained side-by-side at the legendary Champs Gym. They say that familiarity breeds contempt, and this fight proved that old saying like no other boxing match had done before - or since. By the time Scott and Hart entered the ring, competitiveness and bragging rights had festered into hatred. Everyone knew this was going to be a good one, and the fighters were out to prove it. Their styles also promised fireworks. 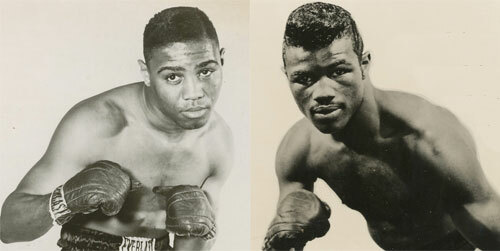 Both were boxer-punchers, with Hart the more athletic and stylish, and Scott more aggressive with heavier hands. Certainly the state championship raised the stakes, but even more crucial was the fact that Hart was ranked #1 in the world, and Scott #2. If that’s not the recipe for a classic, then what is? Amazingly, this grudge fight even exceeded all those high expectations. Hart had beautiful boxing skills. Everyone assumed his strategy against Scott would be to circle, box, and wait for a chance to land a bomb. However, Hart jumped out in round one and blasted Scott with everything he had. He nailed Scott with his biggest shots, but Charley survived. Sure, Sugar could punch, but this was not really his style. Pride had pushed him to try and beat Scott at his own game. What a mistake! Sure, Hart won the first round big, but Scott was still standing, and he wasn’t going anywhere. What came next was perhaps the most brutal battle ever waged in Philadelphia. Both fighters gave everything they had, and seemed unable to take a backward step. 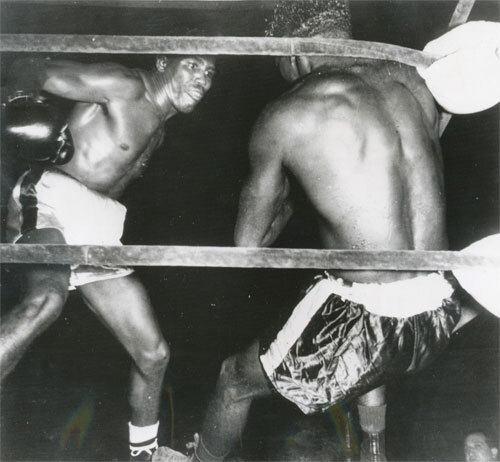 Hart refused to box and instead met Scott in the corners and along the ropes and traded punch after punch with him. They grinded away like this for more than eight rounds. Every punch they landed took tiny pieces of life from the other. This was beyond a boxing match. Eventually, Scott’s harder shots and unrelenting pressure broke Hart down. Sugar's left eye was nearly shut, and the right was only marginally better. He was bleeding from his mouth and nose, and had taken more punishment than anyone ever should. 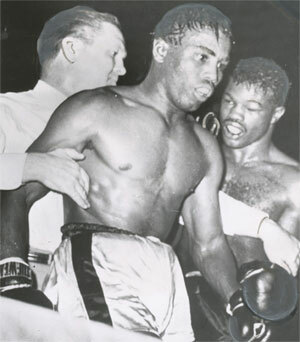 However, Hart’s courage, stubbornness, and that unyielding pride kept him on his feet, unwilling to quit. Scott had been through the mill as well, but he was fresher and had victory in his sights. The fight entered the ninth round, and Scott resumed his savage beating. Hart took everything that came his way, unable to see, unable to punch back, but also unable to surrender. He lived to fight. Both of them did. However, referee Joe Sweeney couldn’t take any more violence, and jumped in to save Hart after 28 seconds had gone by in round nine. He had to do it. Hart wasn’t going to save himself and Scott wasn’t going to let up. Another second of battle would have been criminal. 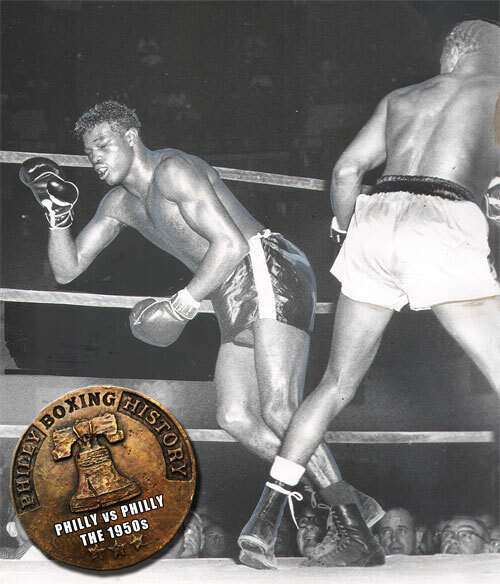 It was perhaps the most glorious war ever waged in a Philadelphia boxing ring, and neither man was ever the same after that night.